Two old men began RAW in a crutch fight. Not interesting or remotely exciting. In one of the stiffest exhibitions in RAW history, Brock Lesnar and Triple H destroyed each other (with Lesnar splitting his head open on the ring post the “hard way,” so bad that the camera eventually stopped showing the gorged side of his face) in one of the best openings to RAW in years. This sets up one of this year’s must-see Wrestlemania matches. With a month to go till the grand daddy of ‘em all, the drama is sure to continue to unfold. That’s exactly what happened. The end to the CM Punk/John Cena situation was amazing. With his Wrestlemania title shot on the line, Cena won a hard fought match against Punk, cementing a monster main event at this year’s Wrestlemania. It also paves the way for a Punk/Undertaker feud. The only question now is when will it happen? Another interesting segment pitted Zeb Colter and Jack Swagger against World Champion Alberto Del Rio and Ricardo Rodriguez on MizTV. Emotionally charged, the political angle continues to pick up steam. The fact that Colter’s words irritated conservative radio host Glenn Beck so badly that he vented on the air about it means one thing- this angle continue to get more air-time, at least through Wrestlemania. 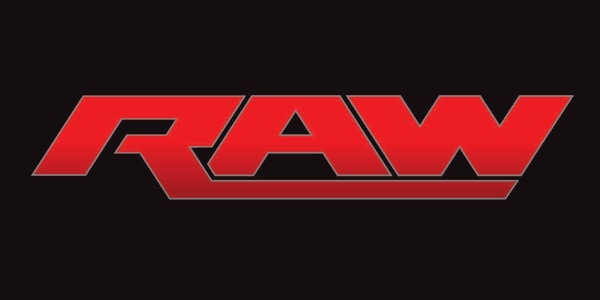 Overall, RAW was fast-paced and fun. In other developments, Donald Trump was announced as an inductee into the WWE Hall of Fame’s celebrity win. Aside from Pete Rose, there isn’t many more deserving than Trump. The host of Wrestlemania IV and V, he belongs in the hall. Dolph Ziggler w/ Big E. Langston and AJ Lee vs. Ryback: Ziggler and his pals were in deep trouble as Ryback had his way early and often. Things changed after Langston clotheslined Ryback on the outside. But even after a massive DDT, Ziggler couldn’t score a pinfall. Ziggler’s sleephold slowed the match down, but again, he couldn’t get the upperhand. Lee and Langston got involved again, but Ryback still managed to hit Ziggler with a modified Powerbomb. After the Shellshock, Ryback was victorious. Great Khali vs. Mark Henry: A joke of a match. How many times does Henry have to destroy Khali before the company gives him some real competition? After a few minutes of nonsense, Henry picked up Khali and drove him to the mat with the World’s Strongest Slam. Unite States Champion Antonio Cesaro vs. Randy Orton: “The Viper” spiced up his offense early with a T-Bone suplex, but the match was pretty even most of the way through. But things changed in a heartbeat once Orton countered Cesaro’s European Uppercut from the second rope into an RKO for the victory. Cody Rhodes vs. R-Truth: A quick match that ended after R-Truth hit the Jumping Complete Shot. WWE Tag Team Champions Daniel Bryan and Kane vs. Darren Young and Titus O’Neil: Bryan was blindfolded and Kane had his arm tied behind his back for the match. While Bryan had problems in the ring, Kane was able to fight off the young team, needing only one arm to Chokeslam Young for the win. The Miz vs. Jack Swagger w/Zeb Colter: The Miz had some moments to attack, but Swagger was in control throughout. Behind a SwaggerBomb and a Side Bell-to-Belly Suplex, Swagger easily overpowered the former WWE Champion. Although Miz hit a Double Axe Handle off the top and finally looked like he turned the turn the tide, Swagger made the most of an opportunity. After The Miz’s ankle got caught in the ring ropes, Swagger went to work. After the Patriot Lock, the Miz wisely tapped. For Wrestlemania Title Shot Against The Rock: John Cena vs. CM Punk: The big fight atmosphere was apparent. It was a top-tier match (so good it deserved a clean finish) for RAW, but was killed by the amount of commercial breaks. Cena and Punk traded offense throughout the match, with Punk taking his time on the outside to slow things down. Every time Cena got rolling, Punk regained control with a quick counter. After a beautiful DDT, Punk got Cena in the Anaconda Vice, but Cena countered. After Punk escaped the STF, Punk hit a top rope Clothesline. Punk went to the well again and Cena synched on the STF to only be countered into the Vice again. Cena then countered that into the STF again. After both combatants lay on the floor for a few seconds, they arose and began trading strikes. After the two countered each other’s finishers, Cena hit a sit-out Powerbomb and nearly got the pinfall. Cena then hit a top-rope Rockerdropper and still couldn’t put Punk away. After Punk fought back and hit the high knee in the corner, Cena erupted for the Attitude Adjustment and Punk managed to kick out. With momentum, Punk delivered the GTS, but Cena kicked out. Punk went for the move again, but Cena countered into the STF. Just when it seemed he was going to tap, Punk grabbed the ring ropes. Punk then pulled a rabbit out of the hat with a Piledriver, but he couldn’t pin Cena. After Punk missed the Top Rope Elbow, Cena caught Punk with a sloppy Hurricanrana and followed it up with another Attitude Adjustment. This time he got the win.